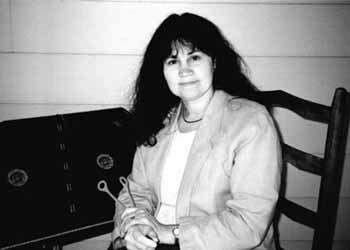 Tina Gugeler has been performing and teaching the hammered dulcimer for over 25 years. Her musical roots started with Celtic and American fiddle tunes. Her music now includes mixing pop tunes with traditional tunes for an delightful and unexpected flavor. She performs solo and with guest musicians. She is in the Denver area local bands, Grandview Victorian Orchestra, and “Balance and Swing”. Beginnings: As a registered nurse and artist with a son and pilot husband while living in Ketchikan, Alaska, she first heard a hammered dulcimer in 1986. The hammered dulcimer quickly became her passion and soon it seemed everyone on the island had heard Tina and her band, BearFoot, playing a variety of Celtic and American fiddle tunes. She played on the docks for cruise ship tourists, for weddings and dances, and at the Alaska Folk Festival in Juneau. Since moving to the Denver area in 1990, Tina has become a full time musician; performing solo and in small combos with fiddle, guitar or piano, and in several local contra dance bands. Her main band is “Balance and Swing”. Along with her busy performance schedule, she teaches students on the dulcimer and bodhran. She is also a polymer clay artist, teaching classes and making jewelry with polymer clay and metalsmithing skills. She and another band, Grandview Victorian Orchestra, have played for several Victorian dance cruises. Her favorite type of music to play is traditional Celtic and American tunes and many other popular tunes. Colorado Dulcimer Festival in Fort Collins, CO.
Irish week at Augusta in Elkins, WV. California Traditional Music Society Annual Summer Solstice Festival, Winterfest in Irving, TX. Jubilee of Acoustic Music, KS. Sawdust Festival in Bennington, OK.
Over the years, Tina has won many local and regional competitions and in the year 2000 she won the U.S. National Hammered Dulcimer Championship. 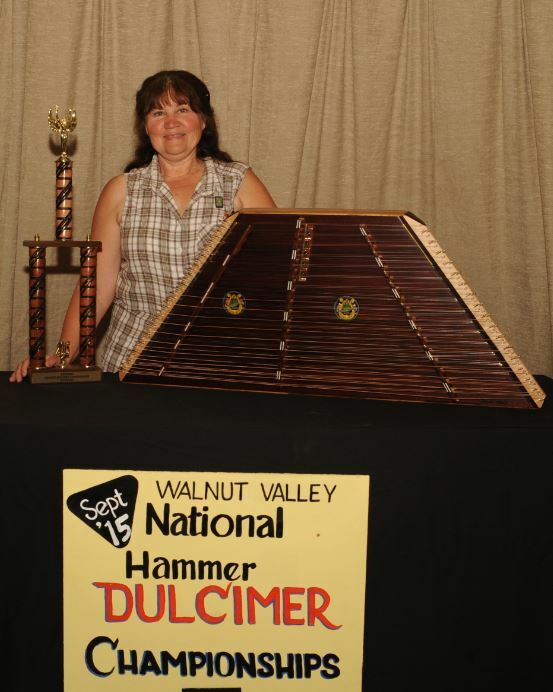 She placed 3rd in the 2007, in the top 5 of the 2008, 2nd place in 2010, 3rd place in 2012, 2nd place in 2013 National Hammered dulcimer Championships. She appears on recordings by Grand view Victorian Orchestra, Denver's High Strung and plays with the dance band Balance and Swing, Grand view Victorian Orchestra. Thank you for visiting! Please check out these other sites.